Hi friends – welcome back for another fun collaboration post with Concord & 9th! A huge shout out to Concord & 9th for sharing your goodies with us…the entire design team LOVES the items we received, thank you! 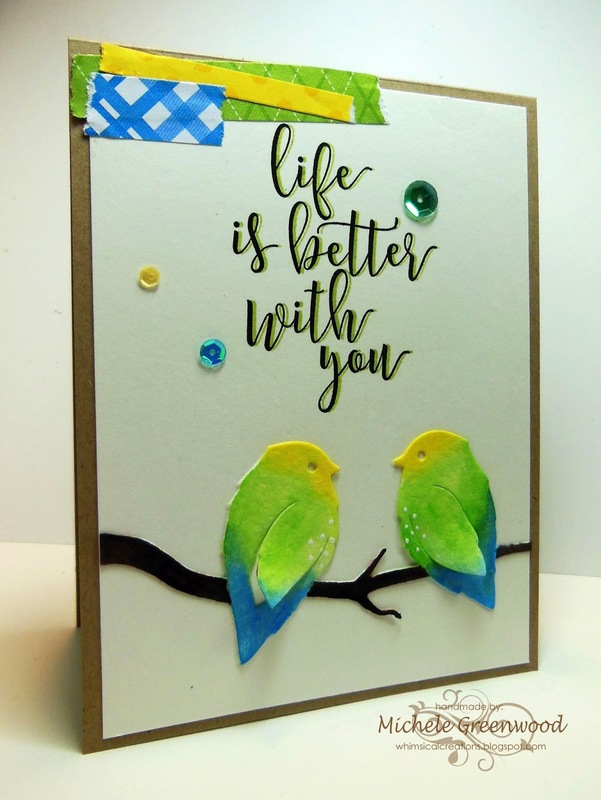 I actually made 3 cards…and just did not like the first one at all – HA, please tell me that happens to you too, so I set about making a couple different ones! 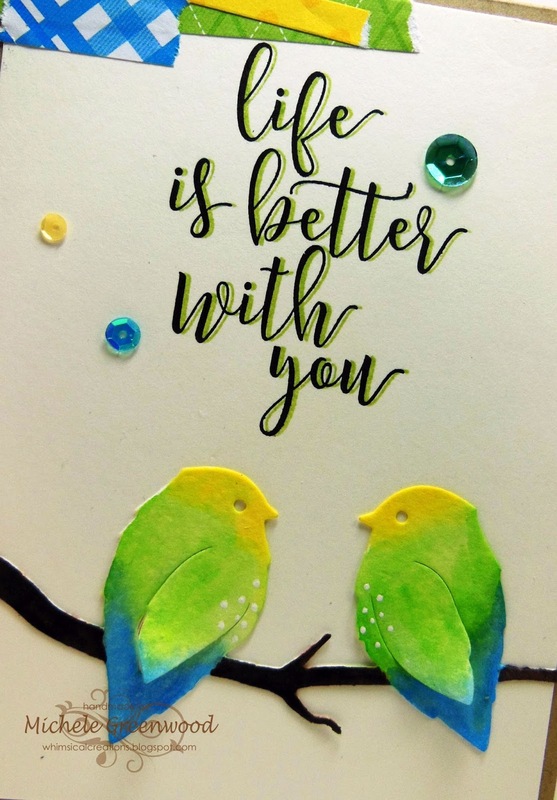 The first one is super CAS, just watercolored those cute By Your Side birds and glued them to some kraft card stock…yes, I went to town flinging colors again. 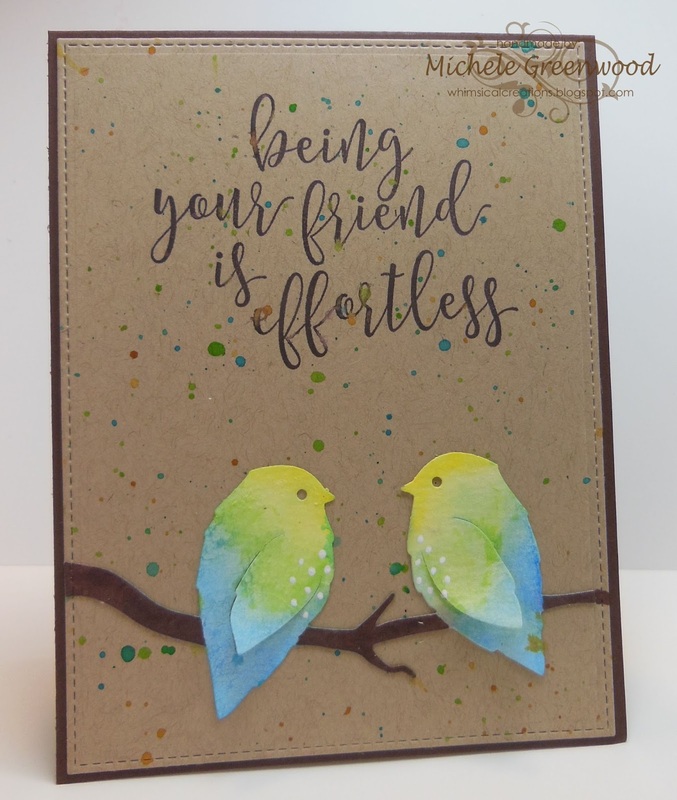 I stamped the gorgeous sentiment in Hero Arts brown ink, stamping it twice for a dark, rich feel. I cut the kraft piece using MFT Blueprints – love that stitched edge; bet I use this die on 95% of my cards! The next card features an ivory background, pretty much identical watercolored birds. This time I stamped the sentiment in Hero Arts brown – twice – but also added the sentiment, slightly offset, in Hero Arts Neon Green. Thanks for stopping by; and don’t forget our challenge this month – ONE LAYER! Hope you will share your creations with us by linking them up HERE! Hey friends, Jessica here with a fun love-themed card featuring lots of products from Hero Arts! It would be perfect for Valentine’s Day, an anniversary, or just to tell someone how much you care! 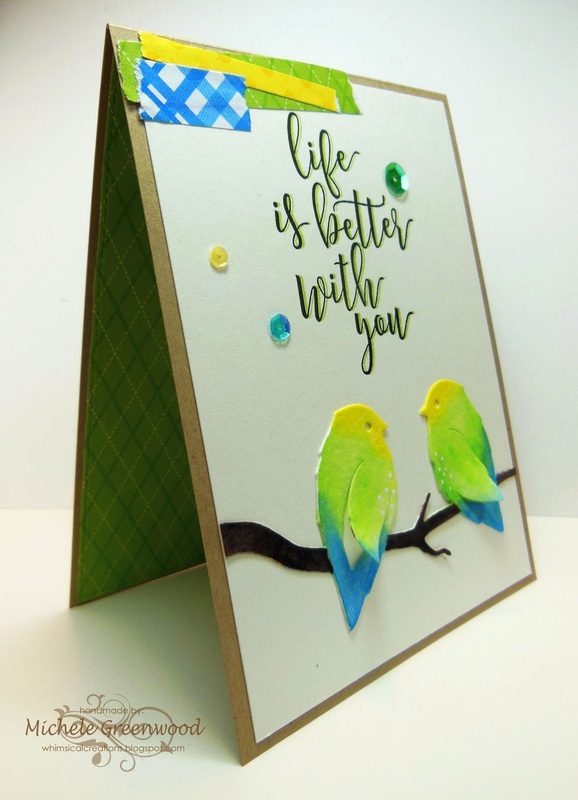 This was a really fun card to create and my inspiration came from crafty organization!….I’ve spent the last few days organizing and swatching all of my ink pads. 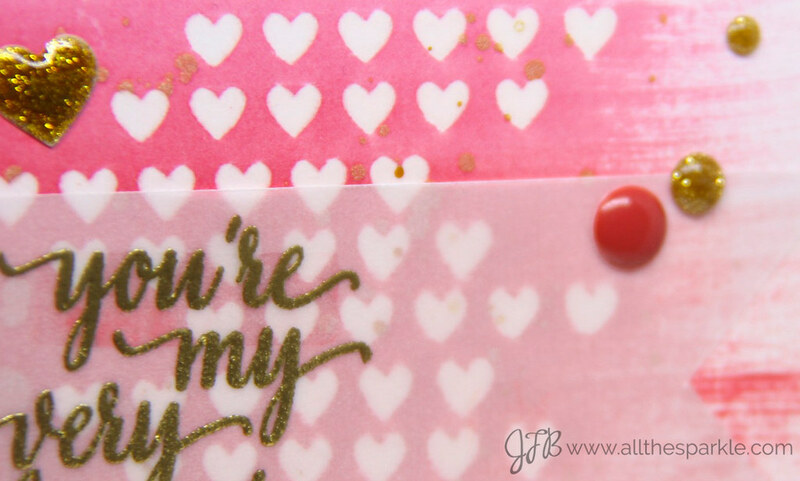 When I got to my ombre inks my swatch stamp wasn’t big enough to give me a good color representation so I swiped them on larger pieces of cardstock instead. 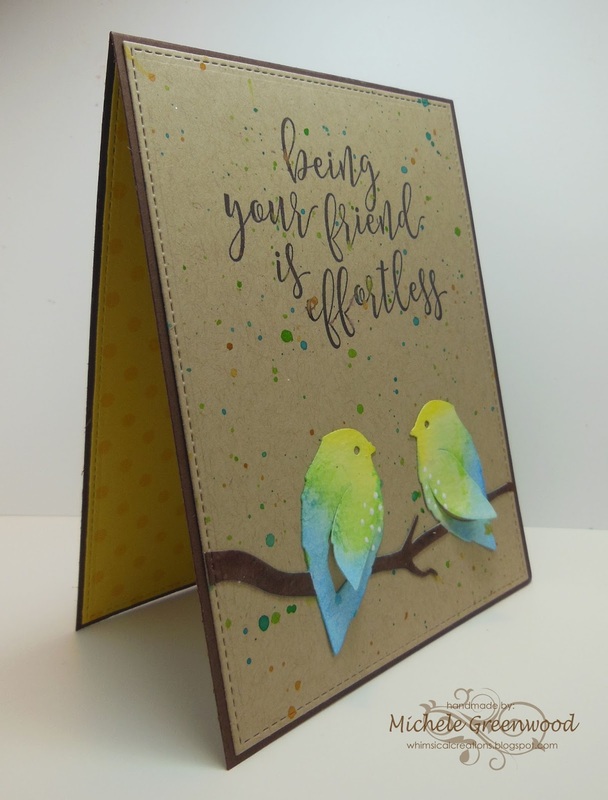 I practiced swiping the ink pad on scrap paper to make sure I was getting nice even coverage and loved the look so much that I used it as inspiration for my card! 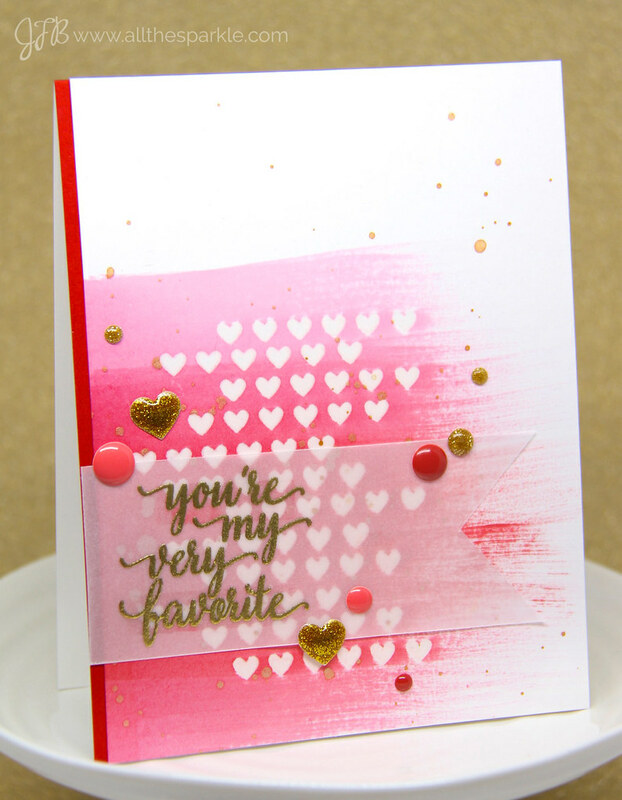 I started off by stamping the line of hearts in a random pattern and heat-embossed them with clear powder. I used my MISTI to help me keep the hearts in a straight line. Next I swiped my pink to red ombre ink pad across the panel. I intentionally pressed hard at the start and lightened the pressure as I swiped. I also did a second slightly offset swipe to get a nice blend of colors. I used a paper towel to wipe the excess ink off of the embossing which left the hearts nice and white before flicking some gold spray across the panel. I trimmed the panel down to get a nice clean inked edge and adhered it to red cardstock. Then I stamped the sentiment onto a piece of vellum and heat-embossed it with gold tinsel embossing powder. I cut the vellum into a fishtail banner and adhered it to the card with vellum tape. Finally I added some red and gold enamel dots and hearts for a little dimension and sparkle! Thanks so much for visiting! Our One Layer challenge is still open so make sure to link your cards up for a chance to win a prize from our January sponsor, Concord & 9th! Have a fabulous weekend!! Hi everybody, Alisha here with a few sweet cards using a fantastic stamp set called Pineapple Pop Art from our very generous collaboration partner Concord & 9th! Can I just say that the quality of Concord & 9th’s stamps is just fabulous? I know where I’m spending my next paycheck! 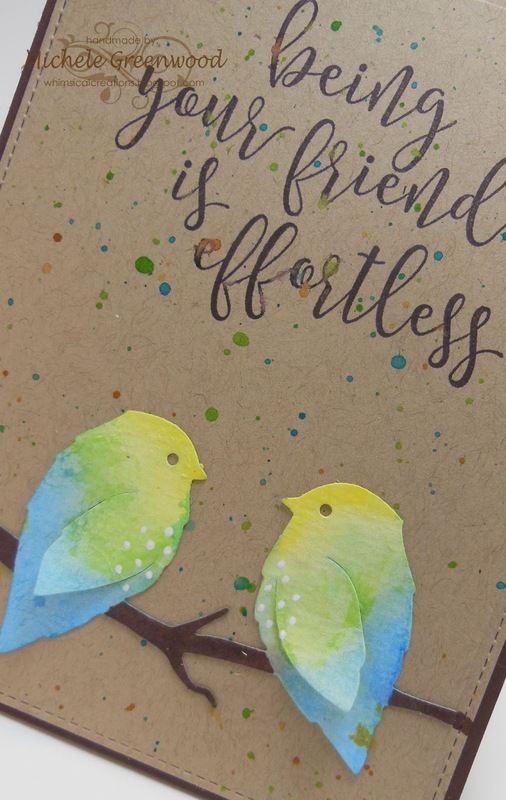 Okay, onto my cards..
First up is this lovely which I started by applying Tarnished brass Distress Stain onto an acrylic block, spritzed it with water and smooshed it onto watercolor paper. When it was dry I stamped my pineapple and sentiment. Here you can see the glimmer from the Tarnished Brass Distress stain. Next I made a cute 4×4 card which will become part of a set since this stamp set comes with five different sentiments! And lastly, this cutie is gonna take a ride in a little gift basket to a couple who just moved in down the street. I adore the cute little Plumeria stamps that come with this set. We’d love to have you join our challenge this month and maybe win some Concord & 9th goodies! You can link your cards HERE or head up to the link at the top of our sidebar. Hi Everyone! Kristina here. As you’ve probably seen, this month we are collaborating with the fabulous Concord & 9th! A big Thank You to them for letting us play with them this month! When I saw the Let’s Chat set from Concord and 9th I immediately knew I had to make a wreath with the fun leaf pattern stamps. It’s actually intended as decor for the coffee cup saucer, but I thought I’d stretch the stamps a bit! You could take it even further and add some florals, but I wanted something very simple. To create it, I just used a circle die and drew (with a pencil) around the edge to have a guide, and then repeatedly stamped the leaf image to form a wreath. Moving on, in the center I stamped my sentiment, and was going to leave it at that, but it was a little too CAS for me, so I added some glitter to translucent embossing paste and applied over top a Hero Arts stencil, being very careful to stay only on outside my images. To finished I added a few simple rhinestones. Hope you like! This months challenge is One Layer! Make sure to check out the Challenge Post for the link up! Hello, crafty people! Michelle here today, with a cute baby card. We are collaborating with Concord & 9th this month, and they sent me their “Written in the Stars” stamp set to play with – thanks heaps, Concord & 9th! I stamped and white heat embossed the large cloud image, and then added the little curly strings. I hung the cloud, heart, star and moon images from the strings (also white embossed), and then sponged some soft pool ink all around these images. 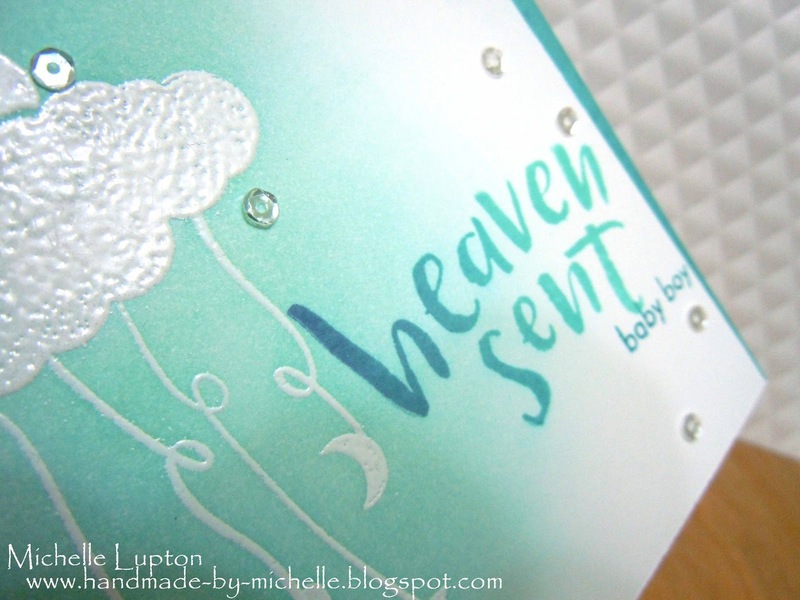 I stamped the “heaven sent” sentiment using Hero Arts ombre ink, and added the “baby boy” underneath. I then decided I needed another cloud – but I wanted the outline of the first one to show. So I stamped the second cloud over the top of the first one, and added embossing powder, but before heating the powder, I removed a thin line of powder around the front cloud using a stylus. Easy! I then added a scattering of sequins from Pretty Pink Posh, and I was done! Thank you again to Concord and 9th for letting us play with your stamps this month! Our challenge this month is “One Layer” – you can play along by adding your link to the inlinkz at the bottom of our first post of the month – click HERE, or follow the link at the top of our sidebar.